The program is administered by the Tennessee Department of Agriculture (TDA). The 110th Tennessee General Assembly passed legislation enacting the Tennessee Milk logo. Senator Frank Nicely and Representative David Hawk sponsored the bill. TDA will continue working with processors to increase Tennessee Milk participation, giving consumers a broader opportunity to support local farmers. 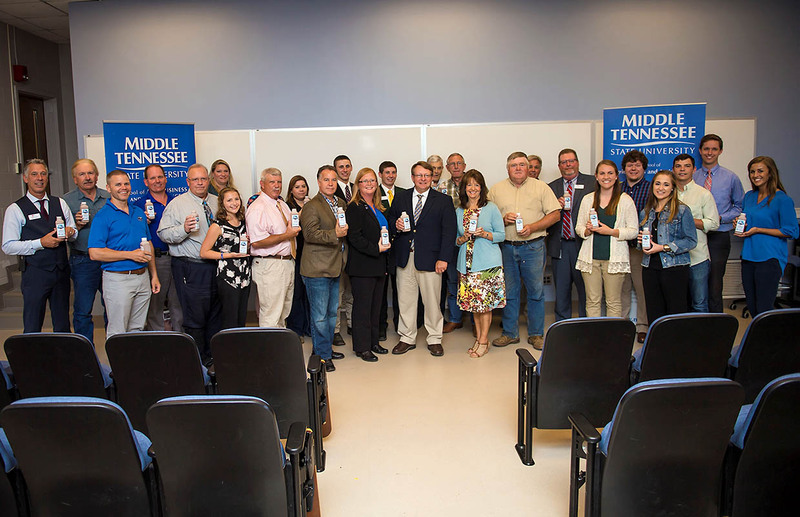 “Middle Tennessee State University is proud to be one of the first producer/processors to participate in the new Tennessee Milk program,” MTSU Director and Professor of Animal Science Dr. Jessica Carter said. 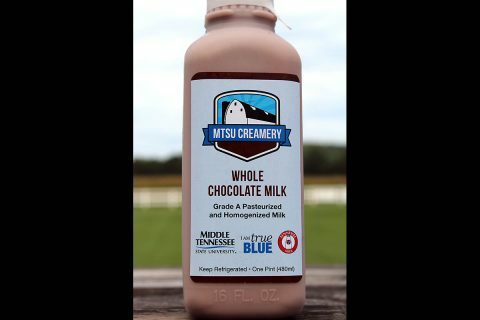 “Being part of this program will allow us to brand our milk as a locally-produced product and enable consumers to confidently purchase dairy products from Tennessee farmers. Our freshly bottled MTSU milk will proudly display the new Tennessee Milk logo to help promote Tennessee’s dairy industry,” stated Carter. Tennessee has 230 dairy farms and approximately 33,500 dairy cows, goats, and sheep. For more information about the Tennessee Milk logo, contact Danny Sutton at danny.sutton@tn.gov or 615.837.5534.